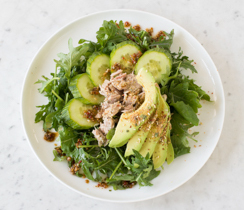 A new simple way to enjoy tuna and avocado. Divide salad greens between four plates. Combine tuna and aioli, then layer over greens. 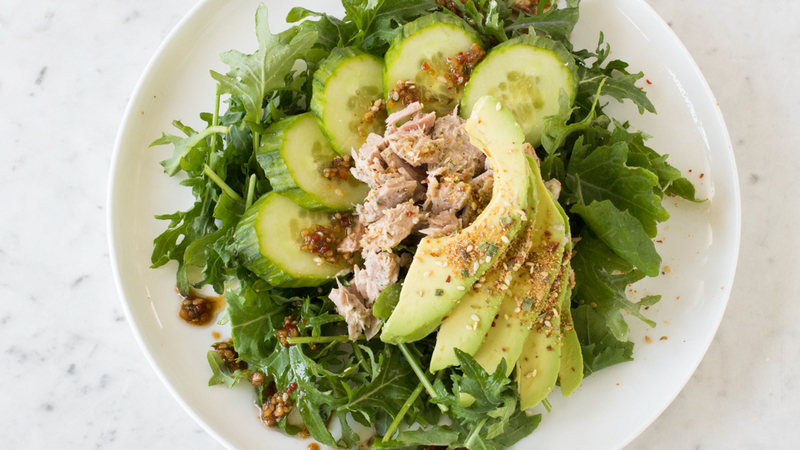 Top with avocado and cucumber slices. 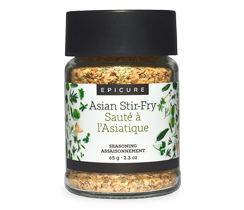 Garnish with Asian Stir-Fry Seasoning.